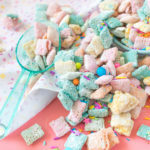 Today’s recipe is an oldie but a goodie! 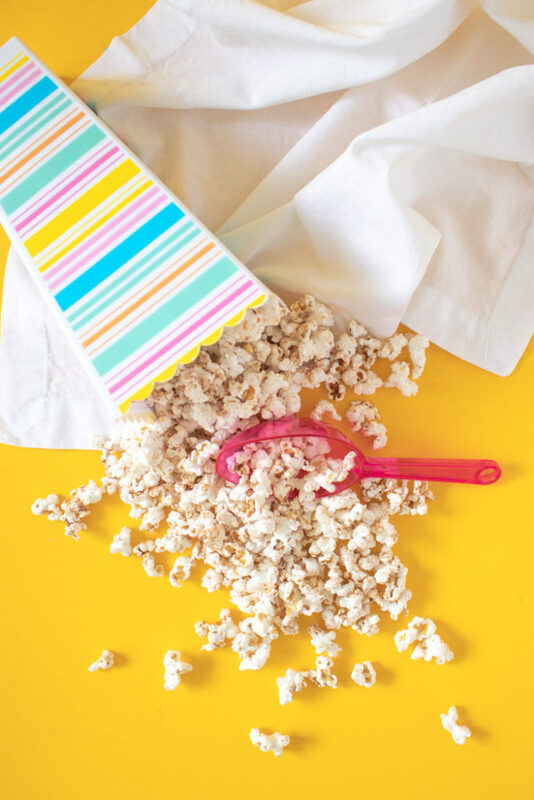 I actually first made SNICKERDOODLE popcorn for my first blog many, many years ago! 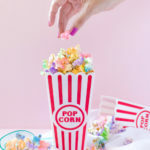 It was so good that I wanted to remake it and rephotograph it to share here on Club Crafted since my old blog no longer exists, and no one should have to miss out on this easy snickerdoodle popcorn recipe. No one. Plus, if you know me at all, you know how important popcorn is to me. It’s basically my lifestyle. 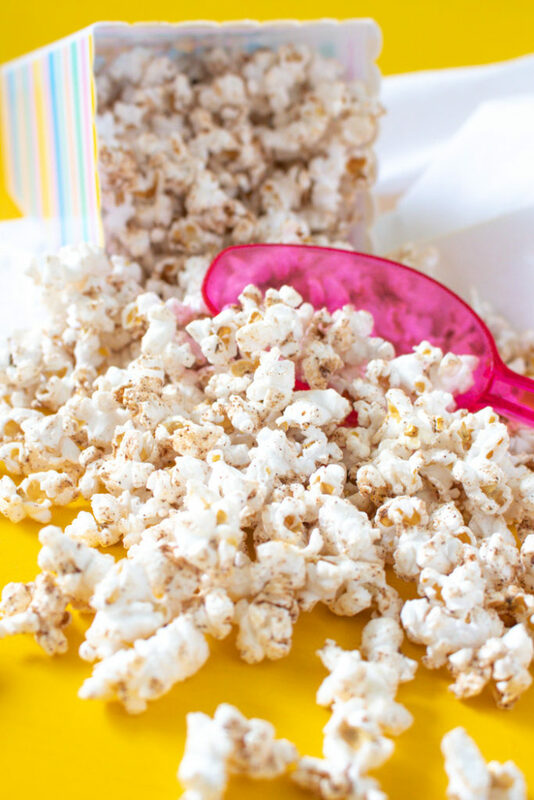 So here’s a quick popcorn recipe that is a little sweet AND a little salty! 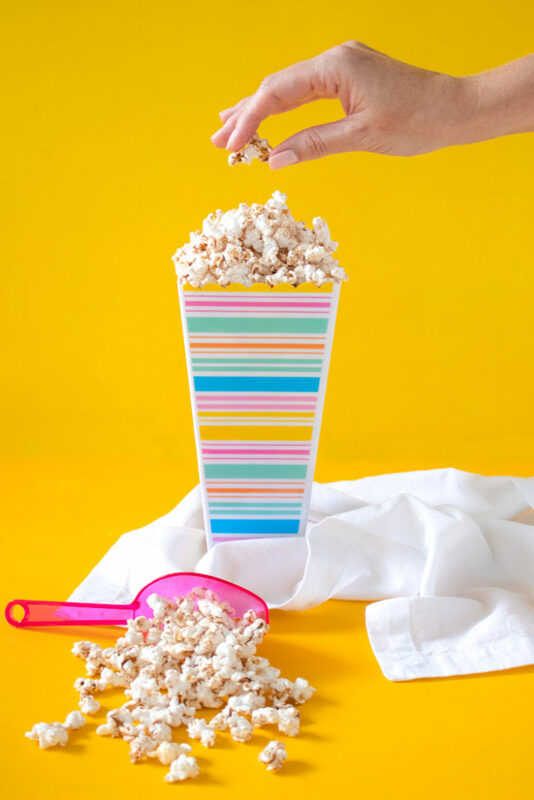 Oh, and if you’re a popcorn lover, you’ll LOVE my rainbow popcorn tutorial! Popcorn is my main food group, so I feel like I’m slowly becoming a popcorn-making expert. 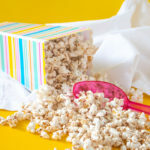 There are several different methods for making popcorn at home, but don’t fret, you can totally use bags of microwave popcorn for this recipe too. In order to get the best flavor effect from the snickerdoodle topping, I simply recommend using a popcorn with no flavors added. This way, you’ll have complete control over the flavor for your snickerdoodle popcorn! 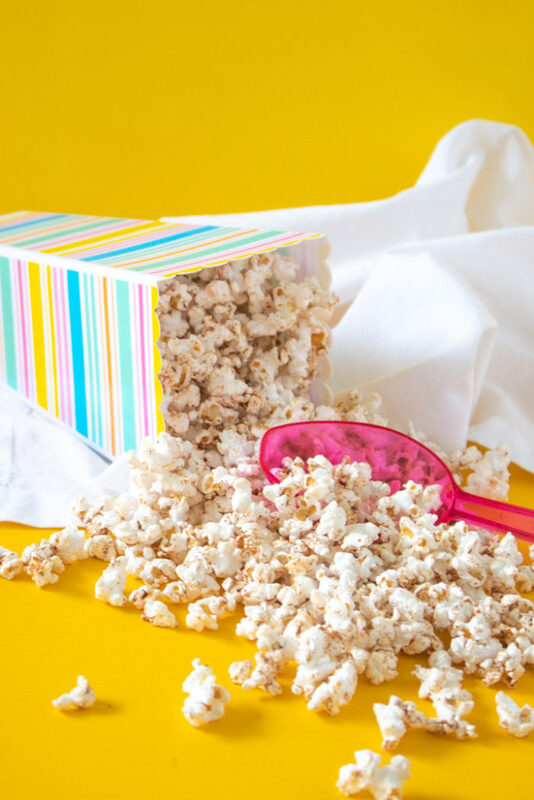 We have a stovetop popcorn popper with a crank handle (or we did until we burnt it beyond repair) that makes it really easy to make perfect popcorn at home, especially the movie theatre kind, and I also have a glass microwave popcorn popper, which is what I used for this recipe. I simply pour in a small amount of kernels at a time and microwave for about 2 – 2 1/2 minutes until the popping slows significantly and it makes perfect plain popcorn. 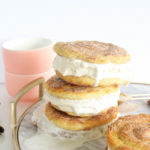 Of course, what really makes it taste like a snickerdoodle cookie is the buttery, cinnamon topping reminiscent of the flavors in the classic cookie. OK, now I’m off to have my second helping of popcorn of the day! 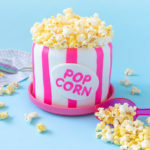 PS, add it to the top of a popcorn bucket CAKE!